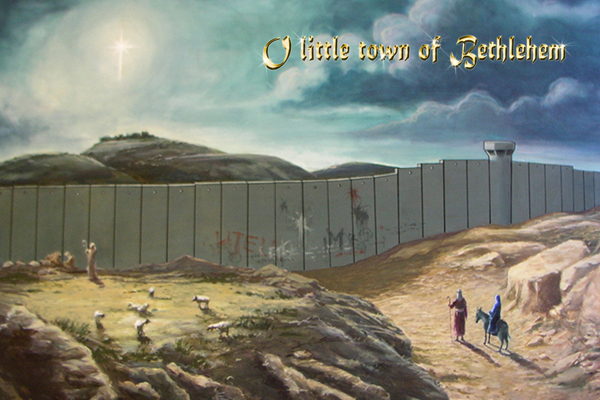 This entry was posted in Christmas, Religion, Uncategorized and tagged Banksy, Banksy's Christmas Card, Bethlehem, Israel, Jesus, non-violence, pacifism, Palestine, Prince of Peace, Robbie Williams, South Africa. Absolutely. The neighbors of Israel and others have been trying to wipe its people off the face of the earth for thousands of years. Hasn’t happened yet. I wonder why. The only thing that has made a real difference in these thousands of years is the Prince of Peace and what he represents. Will those who peacefully resist die? Some will and always have, including the two you identify by name. But they made a difference, and a difference that changed the face of mankind for the better. Did 9/11 or the response to it change any of us for the better?